Non-Dischargeable Debt & Bankruptcy: What You Need to Know (Pt. 2) - Castle Rock Bankruptcy Attorney - Jon B. Clarke, P.C. Picking up from where we left off in Non-Dischargeable Debt & Bankruptcy: What You Need to Know (Pt. 1), below we will continue our discussion of the specific types of debt that will persist despite filing for bankruptcy. What you may need to plan for after bankruptcy in order to avoid becoming overwhelmed with debt in the future (and potentially putting yourself in a position to have to file for bankruptcy again). While this overview discusses non-dischargeable debt in bankruptcy cases, contact us for more specific info about your case and best options for debt relief. Recent income tax debt – If you’ve failed to pay income taxes at any point within the past three years, you will still be obligated to pay back this debt despite filing for bankruptcy. Here, it’s also critical to point out that recent income tax debt is not the only type of tax-related non-dischargeable debt that can exist. Other tax debt may also be non-dischargeable with bankruptcy, so it’s best to discuss your case with an experienced attorney to find out if your tax debt will persist after bankruptcy. Certain debts accumulated within 60 days of filing for bankruptcy – If you run up your credit card debt, accruing more than $1,150 of new charges, within 60 days of filing for bankruptcy, this new debt will typically not be discharged through a bankruptcy case. Similarly, any debt associated with a loan or a cash advance that exceeds $1,150 will also be considered to be non-dischargeable debt. Debt associated with acts of fraud – If you committed any act of fraud and accumulated some debt through this fraudulent behavior, this debt will also not be discharged through a bankruptcy case. For example, if you accumulate debt as a result of lying to creditors, you will still be legally obligated to repay any and all of these debts after your bankruptcy case. 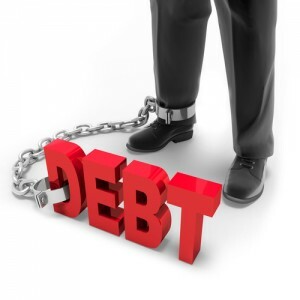 There may be other debts that will not be discharged through a bankruptcy case, so it’s critical to discuss your debt and financial situation with an experienced attorney to determine whether filing for bankruptcy is the best option for you.